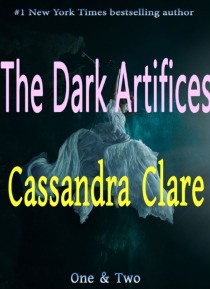 The Dark Artifices, a sequel to the Mortal Instruments series. One: Lady MidnightIt's been five years since the events of City of Heavenly Fire that brought the Shadowhunters to the brink of oblivion. Emma Carstairs is no longer a child in mourning, but a young woman bent on discovering what killed her parents and avenging her losses. Together with her parabatai Julian Blackthorn, Emma must le… arn to trust her head and her heart as she investigates a demonic plot that stretches across Los Angeles, from the Sunset Strip to the enchanted sea that pounds the beaches of Santa Monica. Two: Lord of ShadowsEmma Carstairs has finally avenged her parents. She thought she'd be at peace. But she is anything but calm. Torn between her desire for her parabatai Julian and her desire to protect him from the brutal consequences of parabatai relationships, she has begun dating his brother, Mark. But Mark has spent the past five years trapped in Faerie; can he ever truly be a Shadowhunter again?